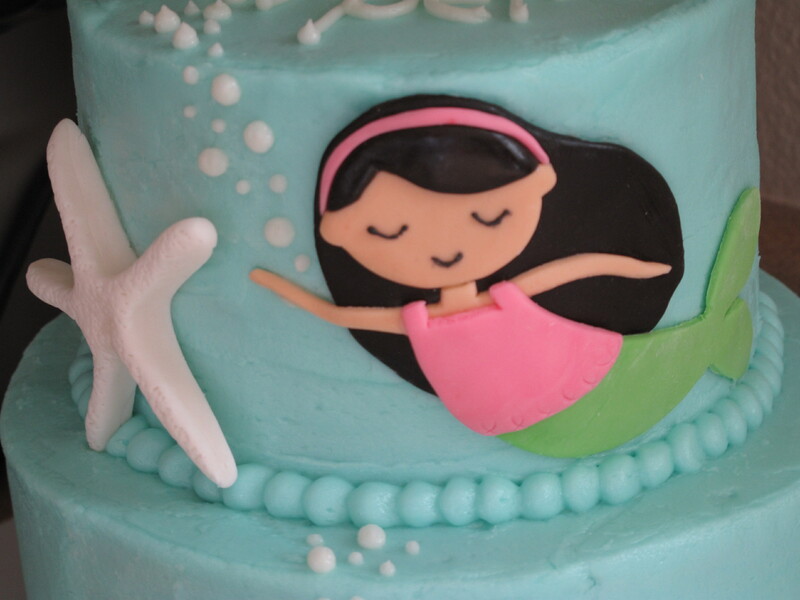 I love the cute little mermaids on this cake. 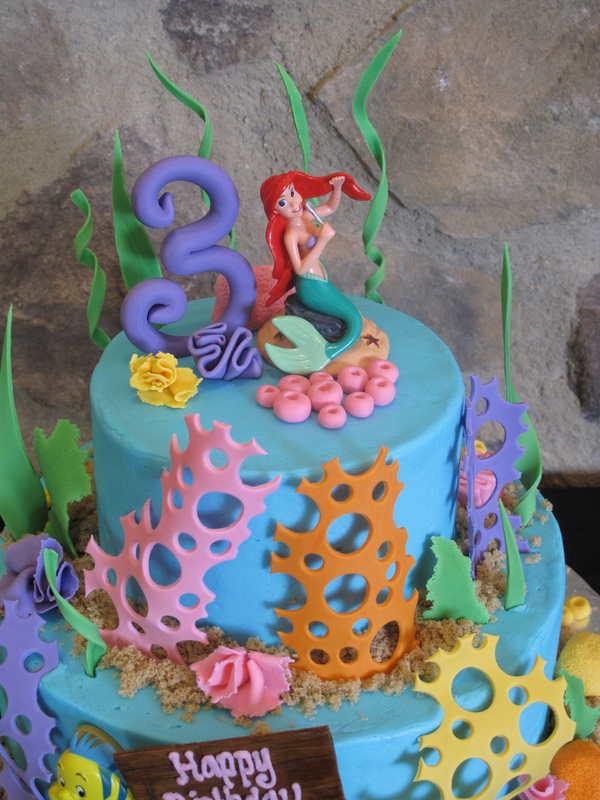 My daughter wanted a mermaid cake and I wanted to do something different than Ariel. 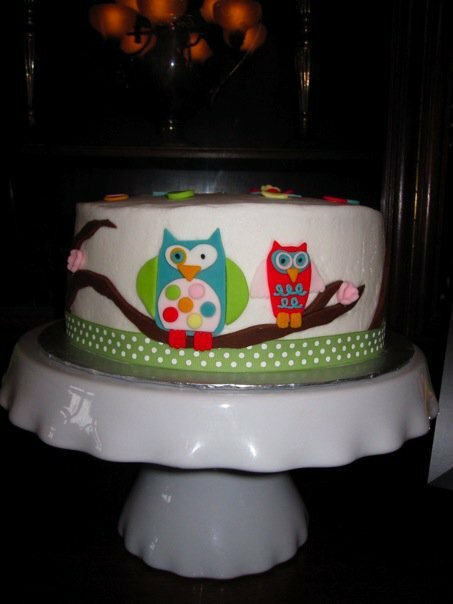 I was inspired by a really similar cake by Hello Naomi. She’s my cake idol, she’s amazing. 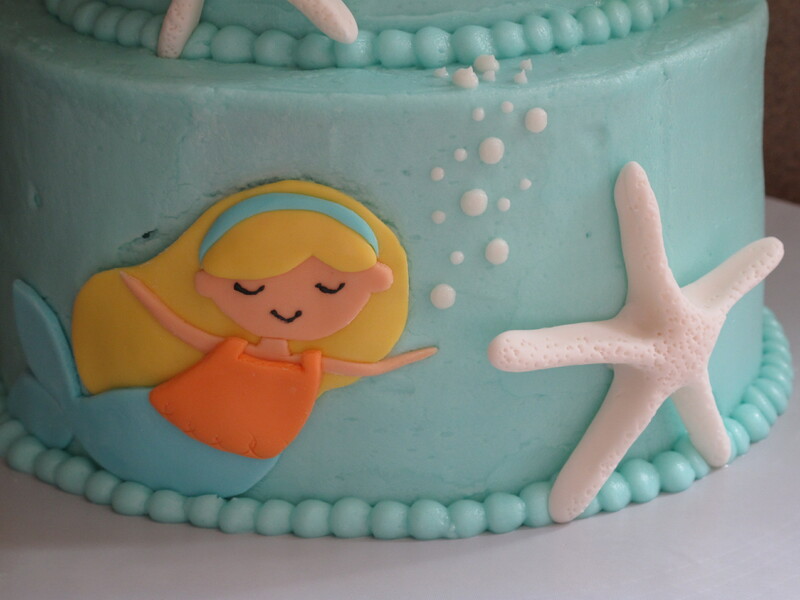 I made the mermaids out of fondant, and the star fish I shaped out of gum paste. 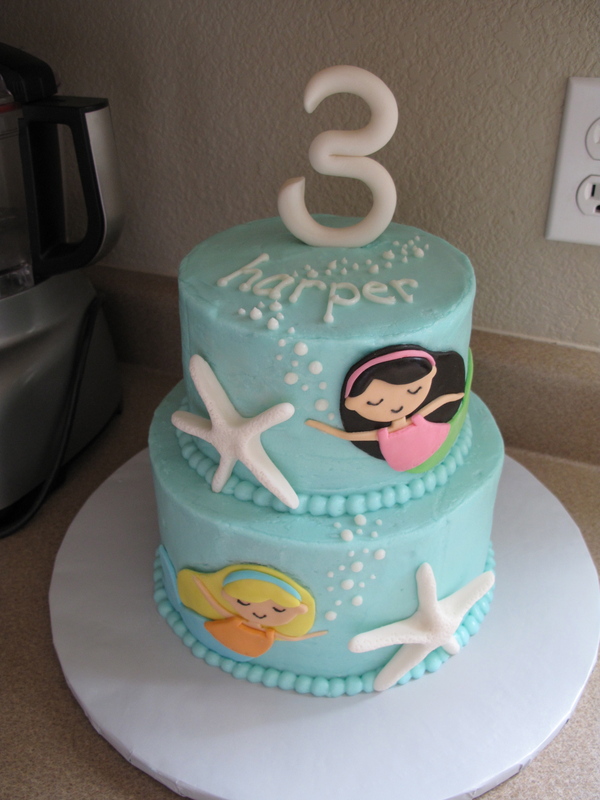 The mermaids were a little heavier than I thought they’d be so they pulled on the buttercream a little bit, you can see the cracking on the bottom one….oh well. Sorry about the bad pictures….the food processor and the outlet make a great backdrop! 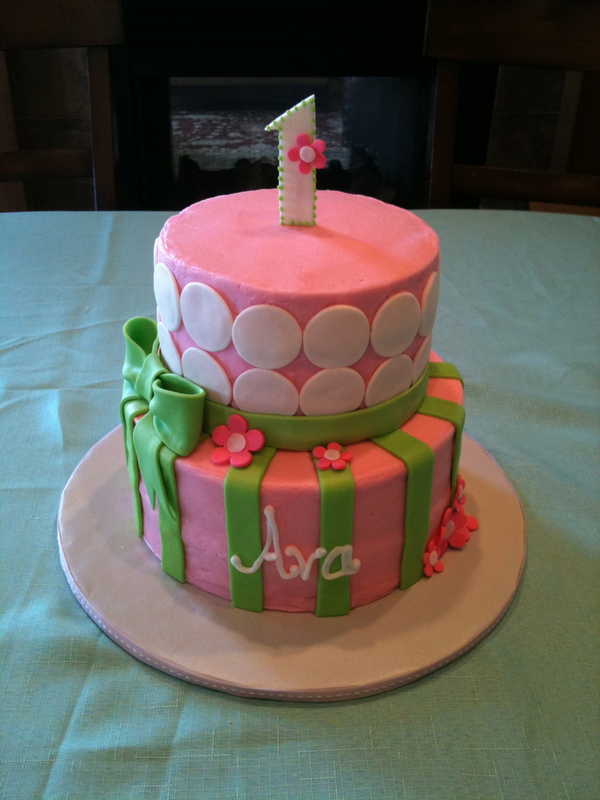 This cake was so special. I had the privilege of making this cake for a much deserving little boy through the Icing Smiles program (www.icingsmiles.org). 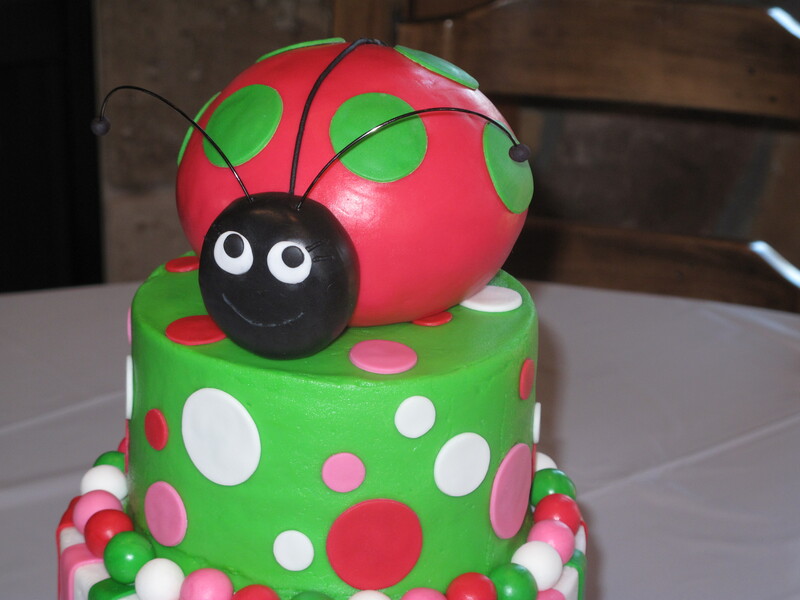 This is an amazing charity that provides cakes to families impacted by critically ill children. If you bake/decorate cakes and would like to know more about volunteering I would encourage you to check out their website, it’s an awesome cause!! I have to admit, even though I have little kids I had never seen an episode of Yo Gabba Gabba so I had to do a little research before I made this one…..I was really happy with the result though. 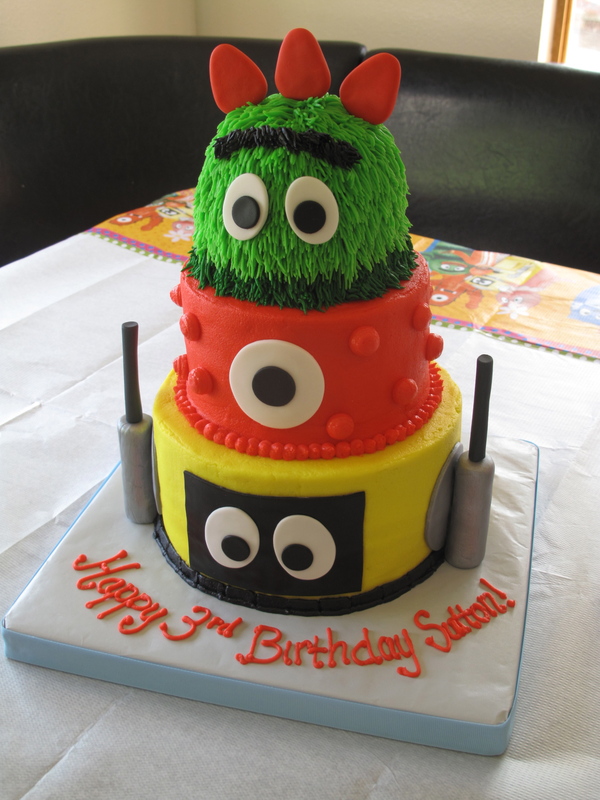 Everything on the cake is edible, the eyes are made of marshmallow fondant and the red spikes and the robot ears are made of gum paste. This was the first time I had ever used pearl dust to make a metallic finish on anything. I formed the robot ears out of gum paste that I had dyed grey, and then I mixed the silver pearl dust with some clear vanilla extract to form a paint and just used a small paintbrush to apply it. You can get some great little cake decorating brushes at Michael’s…..that’s typically where I get all of my cake supplies. Sorry I didn’t get a closer picture of the ears so you could see it but it really is cute and worth doing! 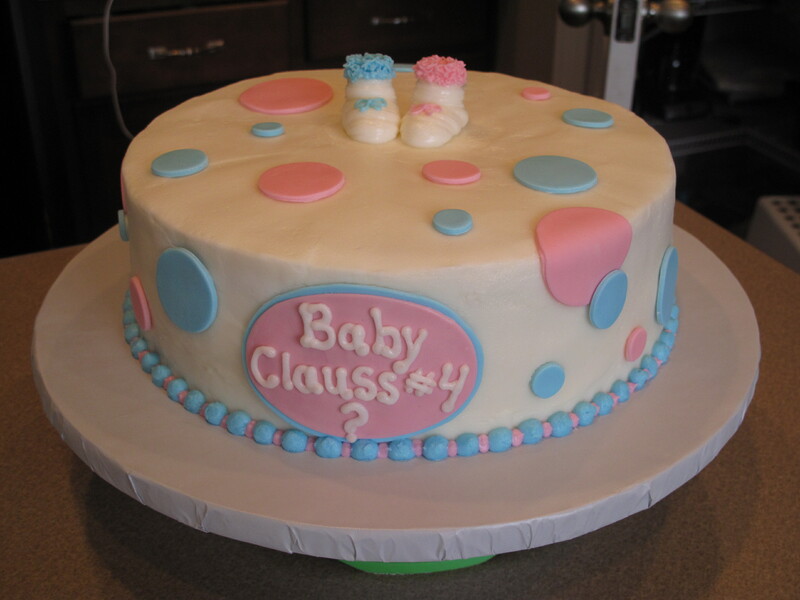 This cake was SO fun to make!! It was so exciting to be a part of such a special occasion. 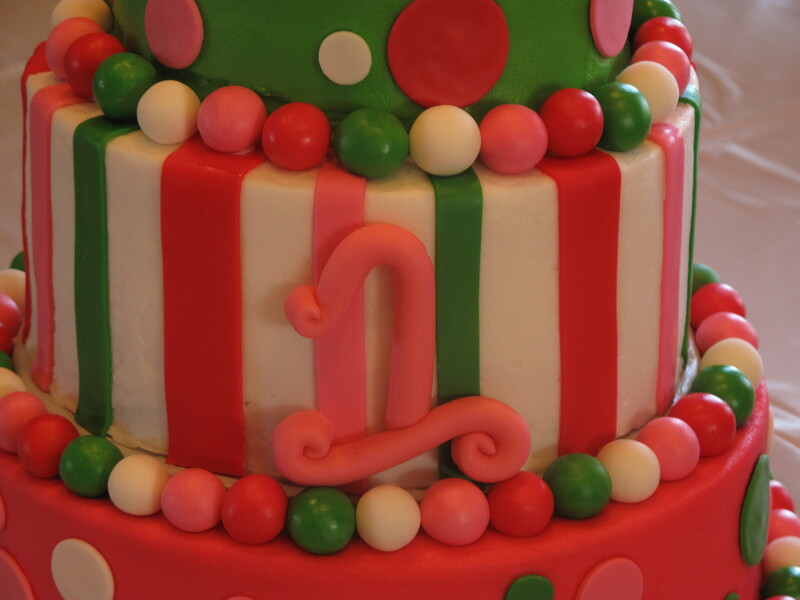 The colored icing between the two layers was what gave away the secret, so I spent a long time putting a nice thick layer of white icing all around…I was so nervous that part of the color was going to show through! Everything turned out great though and I especially liked the beaded border at the bottom. Oh, and of course the little pink and blue booties! 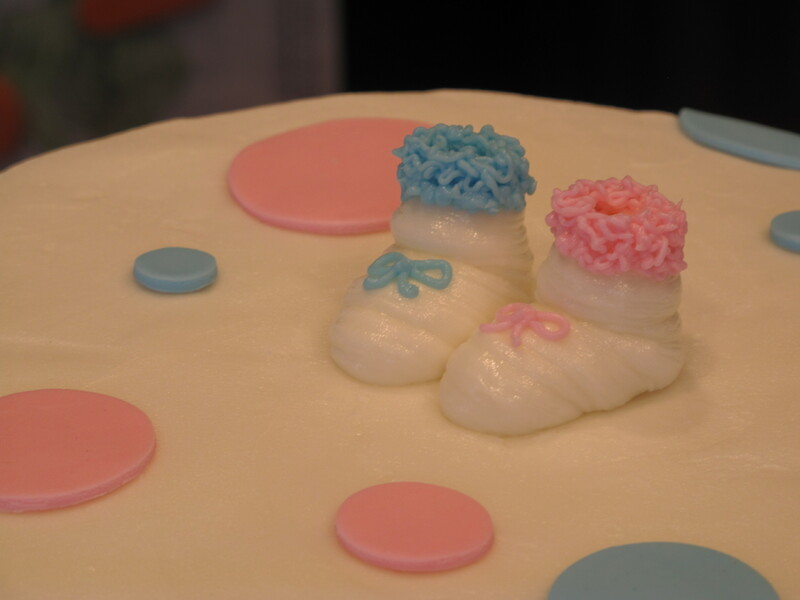 🙂 You can easily make baby booties yourself by just making a blob of icing using tip 12, just start in the front and then move back and up while squeezing the icing bag. 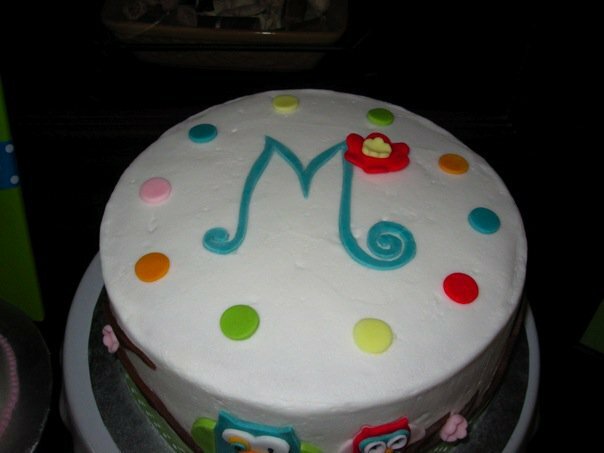 Then with tip 1 squeeze really hard around the top and the icing will come out all squiggly like that. I used tip 1 to do the bows as well. 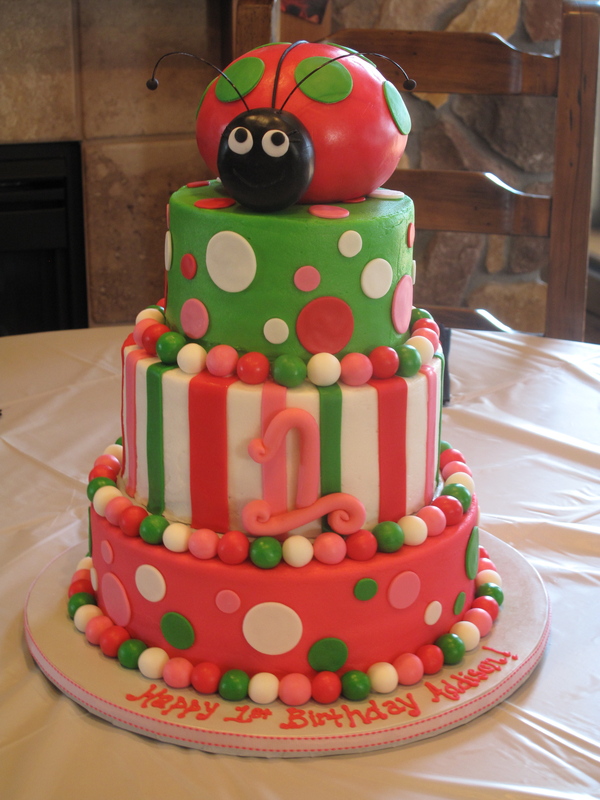 This cake was for a girl’s 1st birthday….I love the colors and the simplicity of stripes and polka dots. 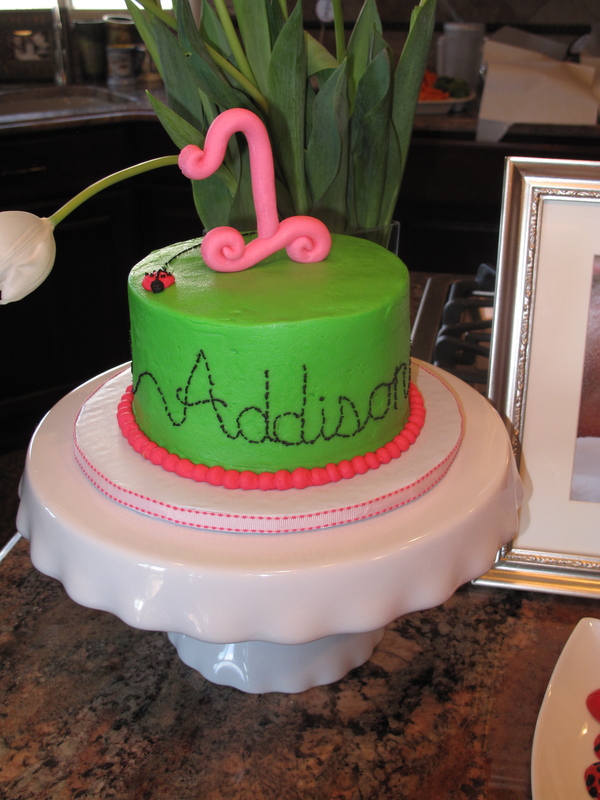 All of the decorations for this cake were made of fondant except the flowers and the number 1’s….those were gum paste. 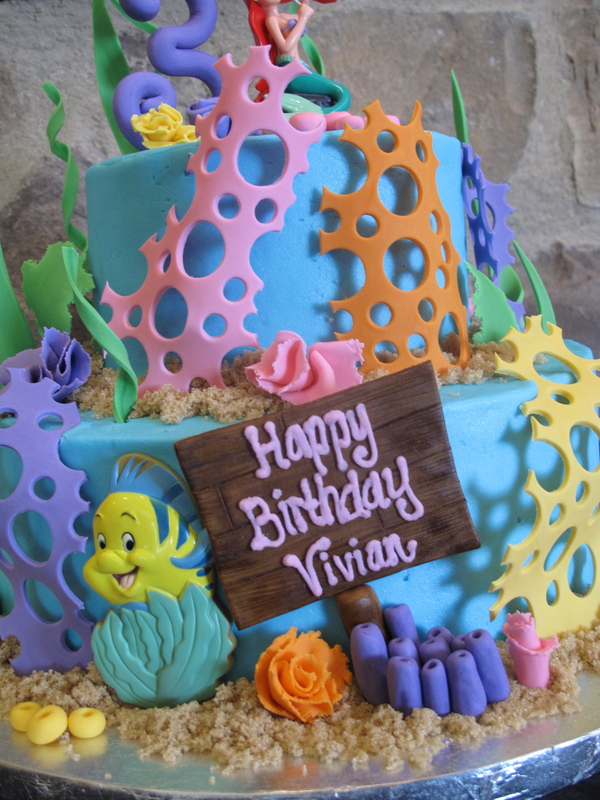 If you enjoy cake making and you’ve never worked with gum paste you’ve got to try it! 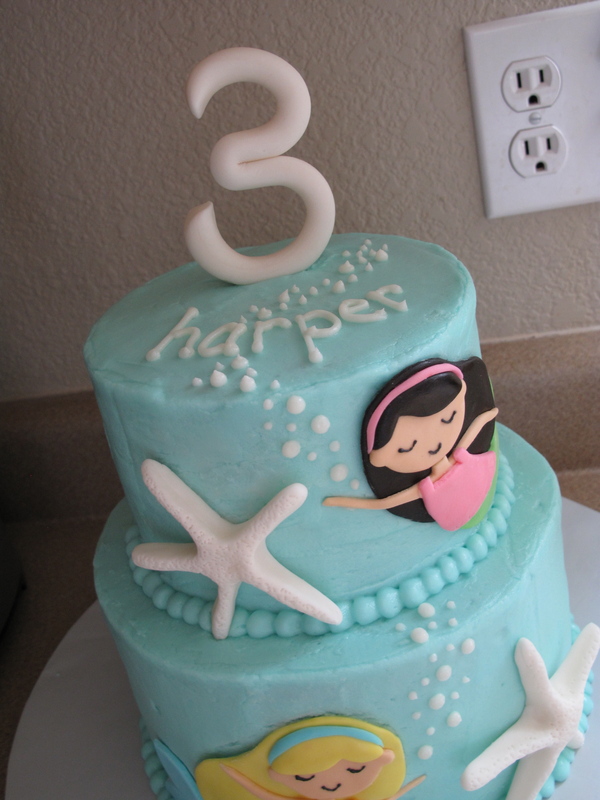 It’s a lot like fondant but it hardens so you can make a number or something, stick some toothpicks into the bottom of it and put it right on top of your cake, so cute! You can find it ready made or as a powder that you just add water and powdered sugar to (that’s how I get it). You can find it at your local craft store. 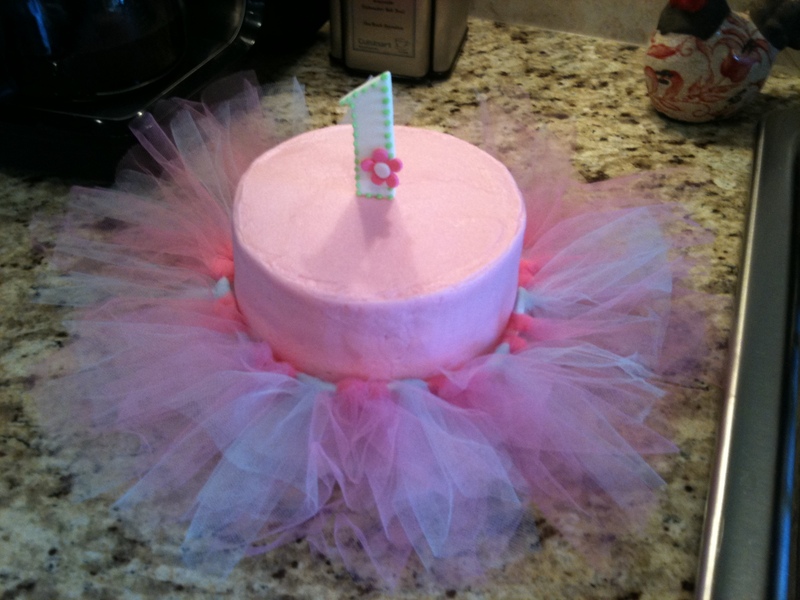 I also just love the little tutu smash cake….it’s super easy to make your own tutu for something like that. I think I just found a tutorial on Pinterest or Youtube on how to do it. LOVED doing this one!! 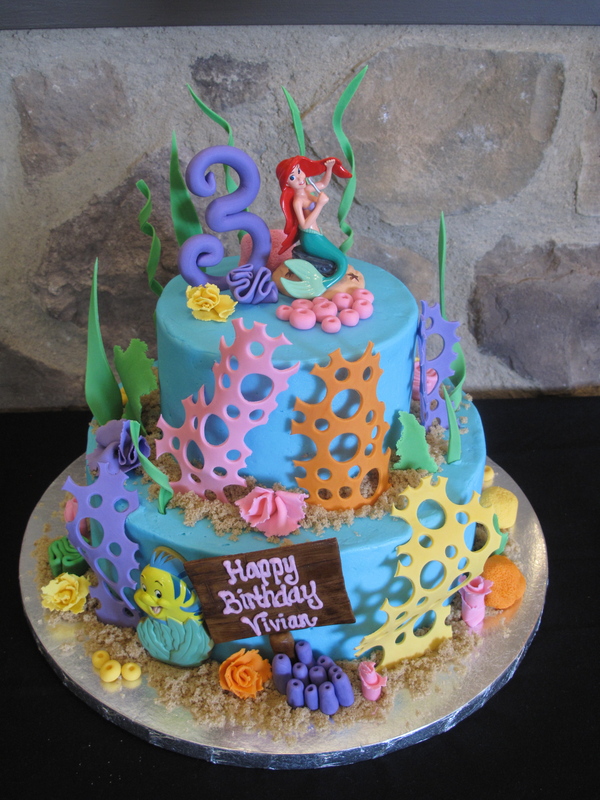 It’s very similar to the Nemo cake, but with a little more pink and purple 🙂 Everything on the cake is edible except for Ariel and Flounder. 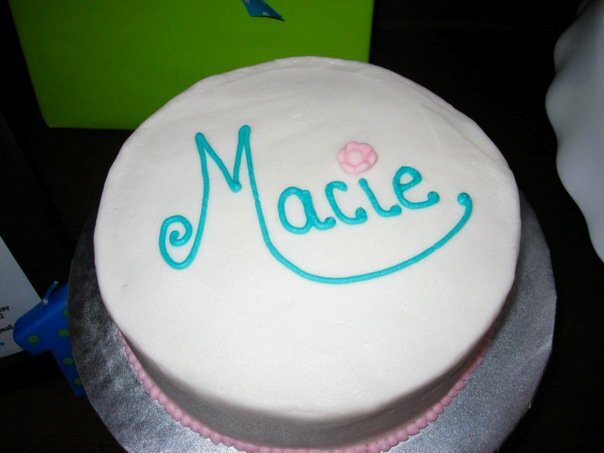 This was one of the first cakes I made that I was really proud of 🙂 It was for a friend’s daughter. 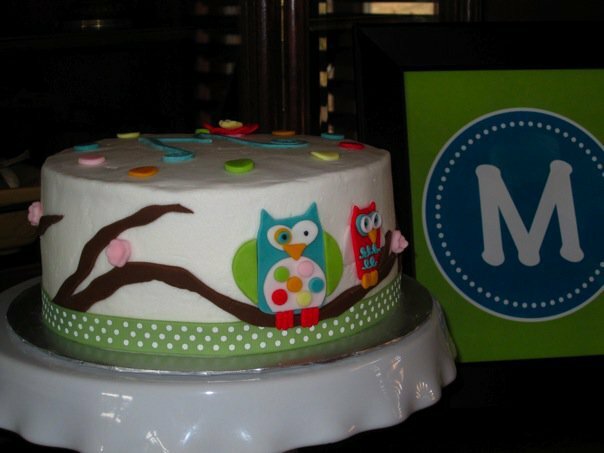 The design for the owls was taken from the invitations. 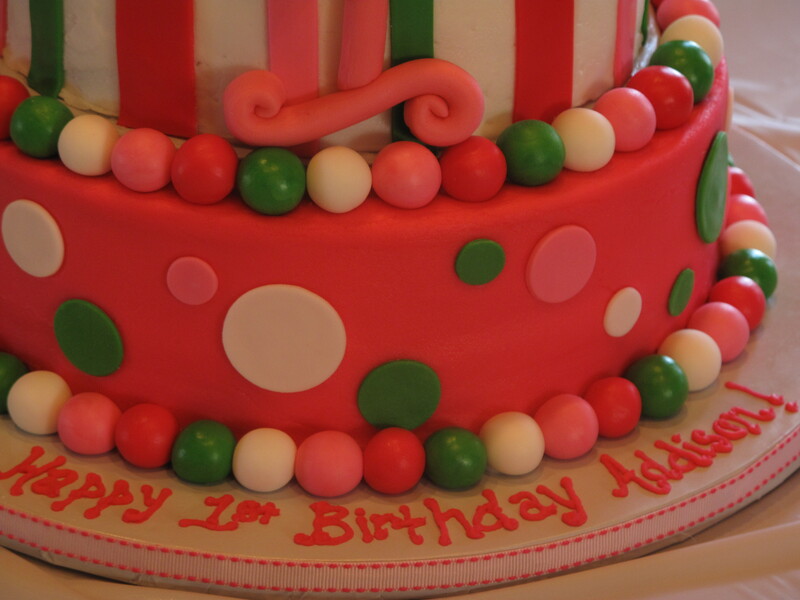 It was an 8 inch two layer cake with a little 6 inch single layer smash cake for the birthday girl.